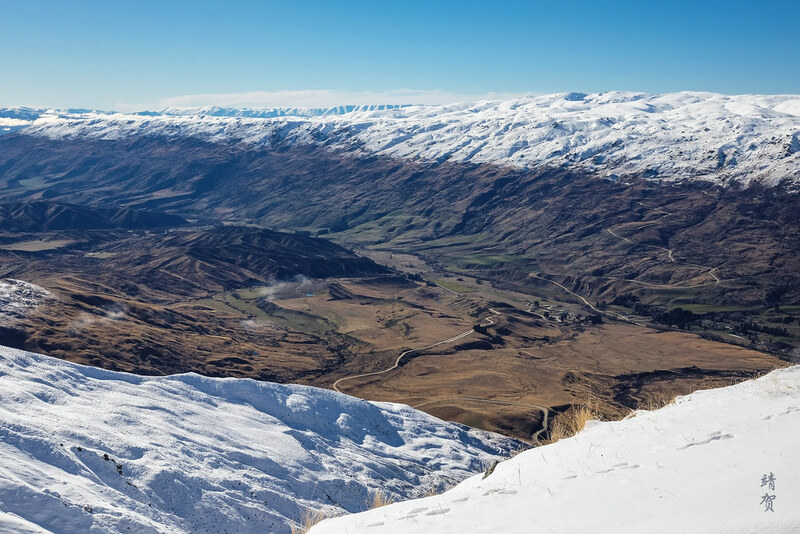 Along the way between Queenstown and Wanaka lies the ski resort of Cardrona, which is considered one of the largest in New Zealand. Not only that, it is perhaps one of the few ski resorts with a gondola. 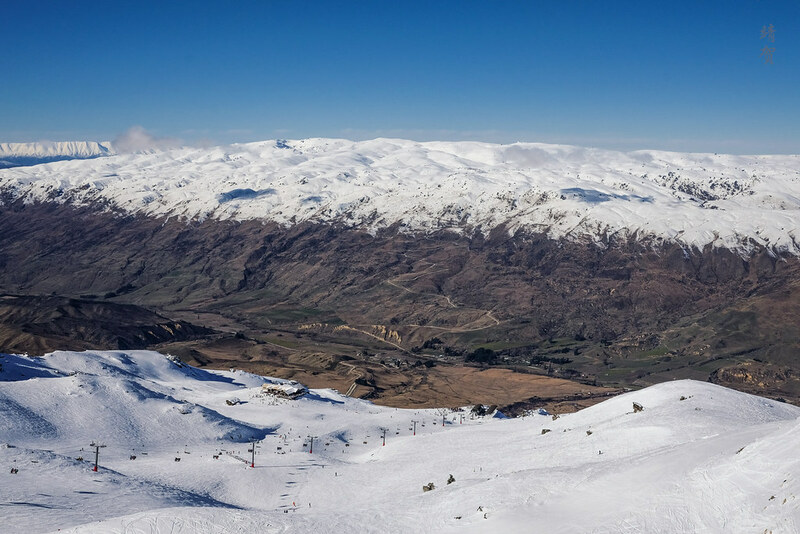 Amongst the 4 ski resorts I visited while in the Otago region, Cardrona was the one with the most developed lift infrastructure and probably the largest ski terrain. Its location also means it is worth a stop for travellers driving between Queenstown and Wanaka. Located about 58km from Queenstown and 34km from Wanaka, I boarded the bus from the Frankton Bus Shelter having bought my tickets beforehand as my friend left later. The bus ride took around 1 and a half hours due to the winding mountain pass. 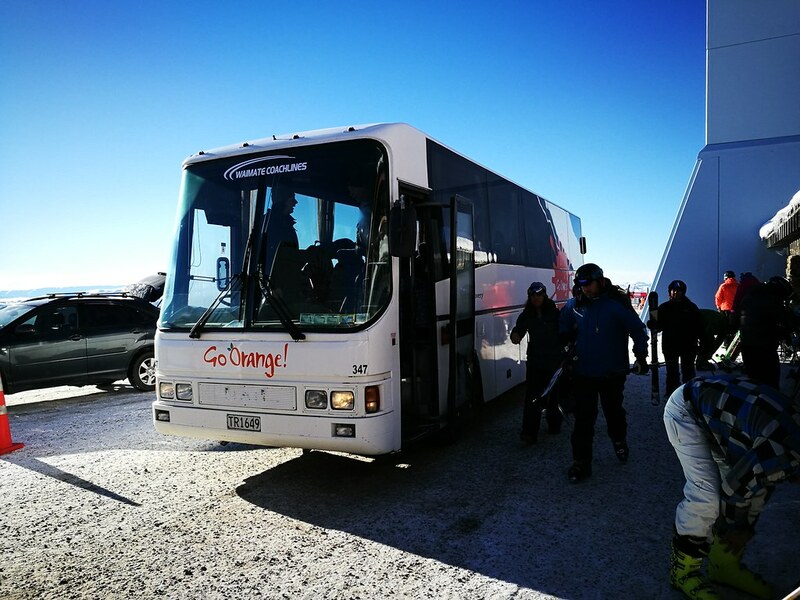 There are several bus companies selling tickets and some even have packages that includes lift tickets, gear rentals and lessons for the convenience of travelling skiers or prospective skiers. 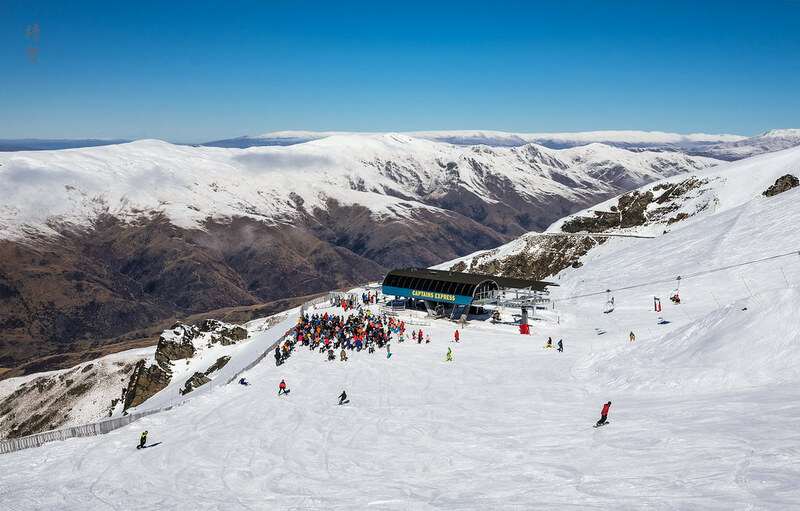 While Cardrona might be further away from the Queenstown city centre, it is closer to Arrowtown or Wanaka, and skiers can choose from the limited accommodations on these towns instead if they want to be on the slopes earlier than others. 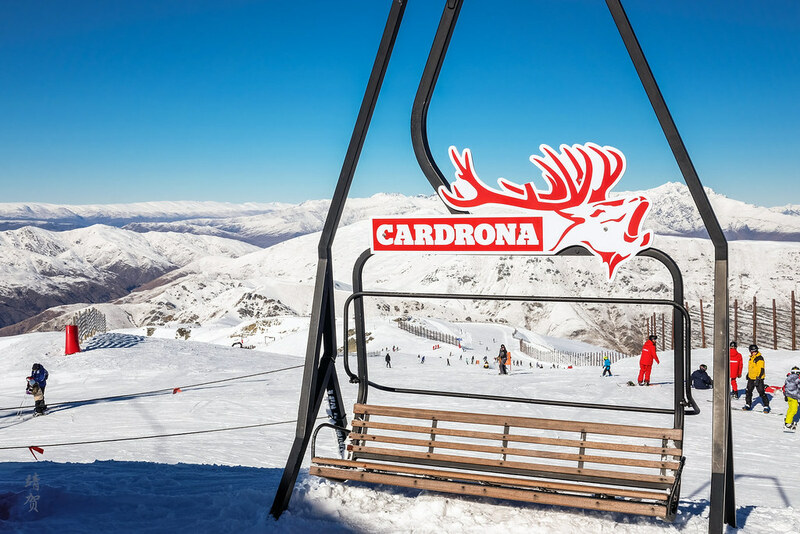 Cardrona is the first ski resort I have been to that installs a ‘chondola’, or a hybrid system of chairlifts and gondolas on the same lift lines that brings skiers from the base lodge to the top. Dubbed the McDougall’s Chondola, this hybrid system is fairly efficient and allows a mix of skiers and snowboarders up to the top. Skiers who are already on their runs might just prefer to get on the chairlift while beginner snowboarders would definitely enjoy the easy gondola ride up. Aside from the gondola, there are 2 quad express chairlifts in the ski resort. One is the Whitestar Express with its upper end lying beside the McDougall’s Chondola, with the bottom a bit lower than the top of Valley View. 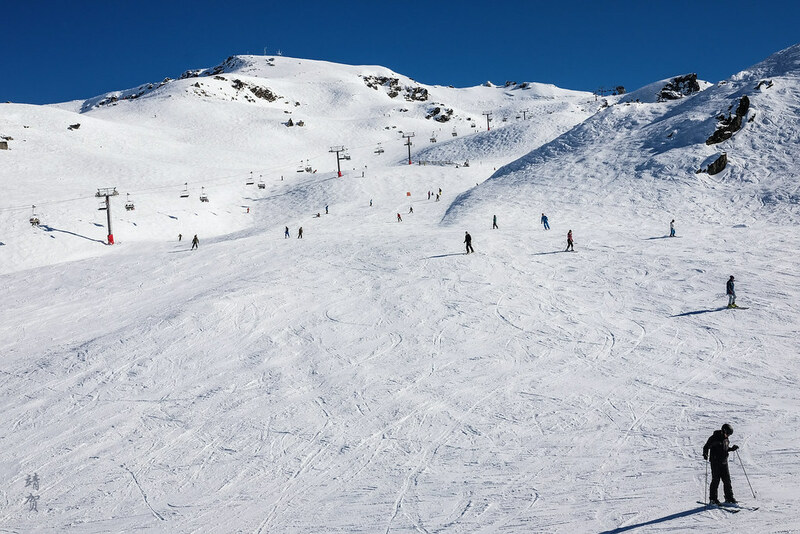 The other quad express chairlifts is probably the skier’s favourite serving the fantastic Captain’s Basin with the chairlift being called the Captain’s Express. This chairlift opens up another side of the mountain to enjoy with bowl-like features and would probably see huge crowds on the weekends. The last major chairlift is the quad-seating Valley View whose base serves as the starting point for drivers who parked at a lower base in the mountain. While there are basic facilities at the base of this chairlift like lavatories and a small cafe, this chairlift is slow and it means that aside from skiers who use this to get to the top, there is not much in terms of appeal to the majority of skiers. Other than these chairlifts and gondola, there are several surface conveyors or ‘magic carpets’ serving the learning area and a T-Bar connecting skiers to a small pipe and park area. 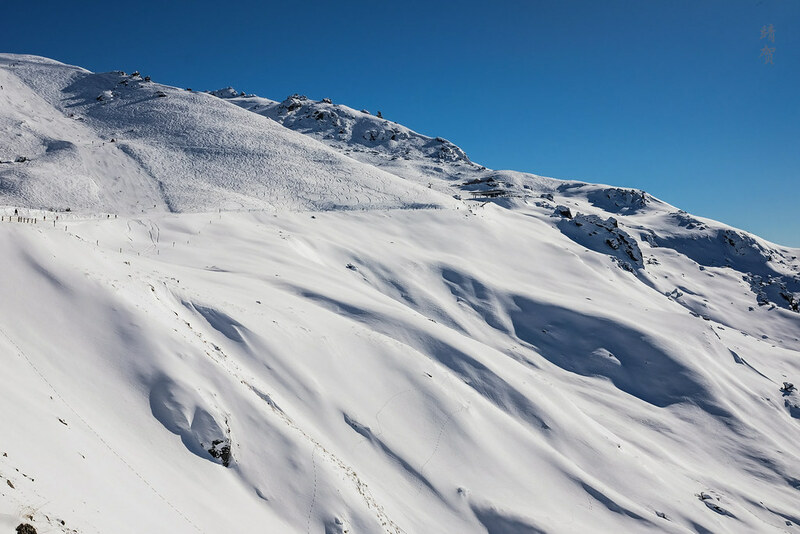 While it might sound like there are more chairlifts than usual in New Zealand, the lifts gets very crowded on weekends and holiday season so skiers could still expect a roughly 15-20 minute wait during peak periods to get up on the chairlifts. 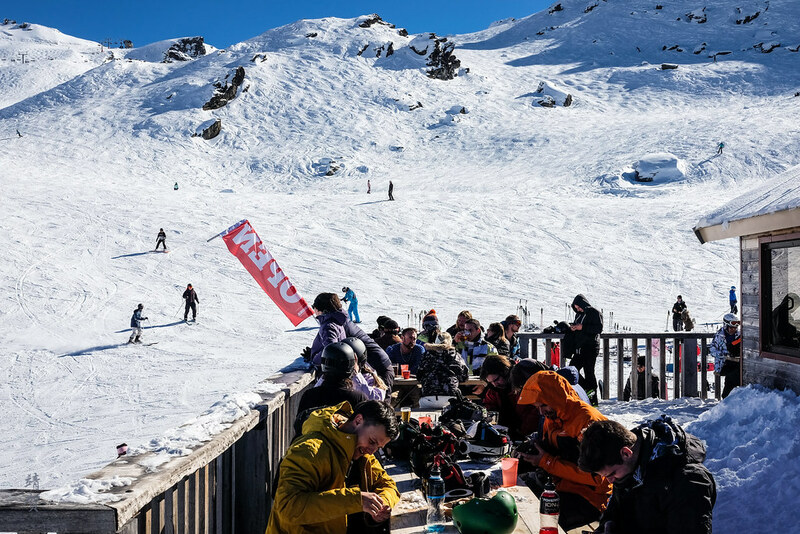 A day on the slopes will set skiers back as much as NZ$115 on peak winter days with a savings of NZ$5 for multi-day tickets. 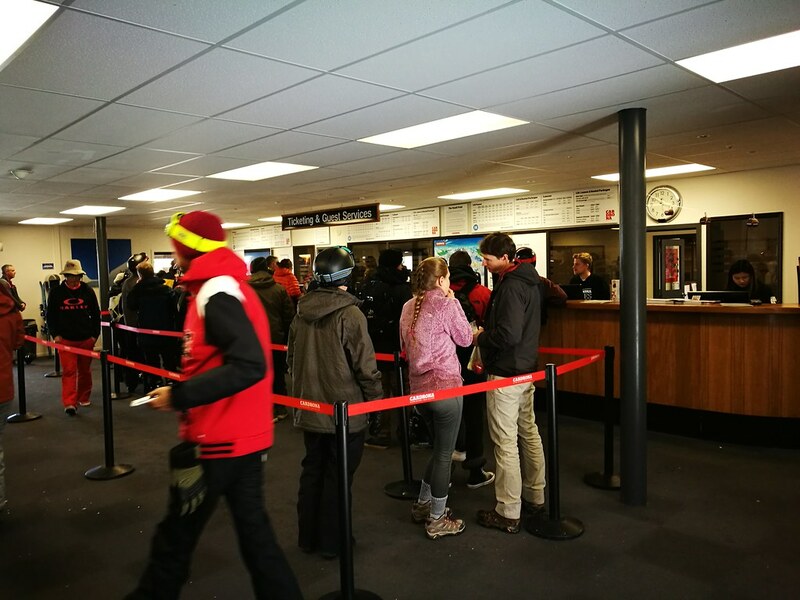 At those prices, the multi-day tickets would not be a huge discount for the leisure skiers or those travelling around New Zealand for the first time. 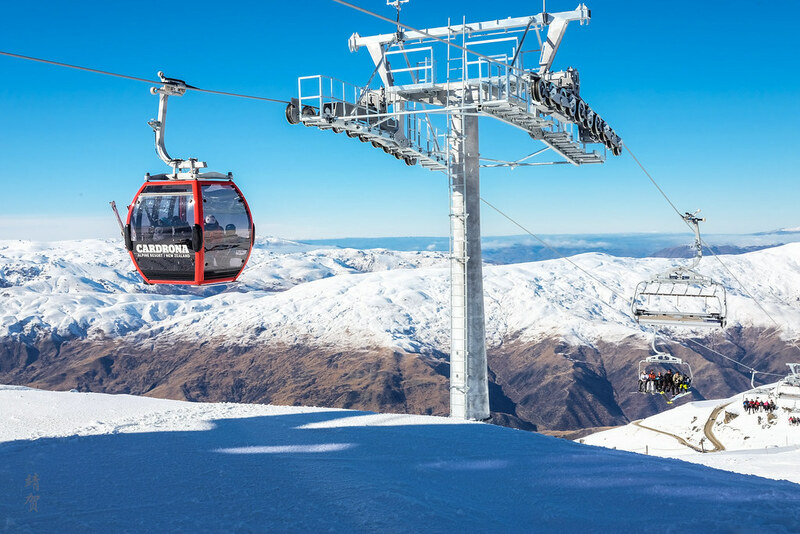 Prices for Cardrona are slightly more expensive than Coronet Peak or The Remarkables though the better lift infrastructure, longer ski runs and wider terrain expanse does make Cardrona a good value for skiing in New Zealand around Queenstown and Wanaka. However when compared to resorts worldwide, lift passes in New Zealand seems somewhat expensive. 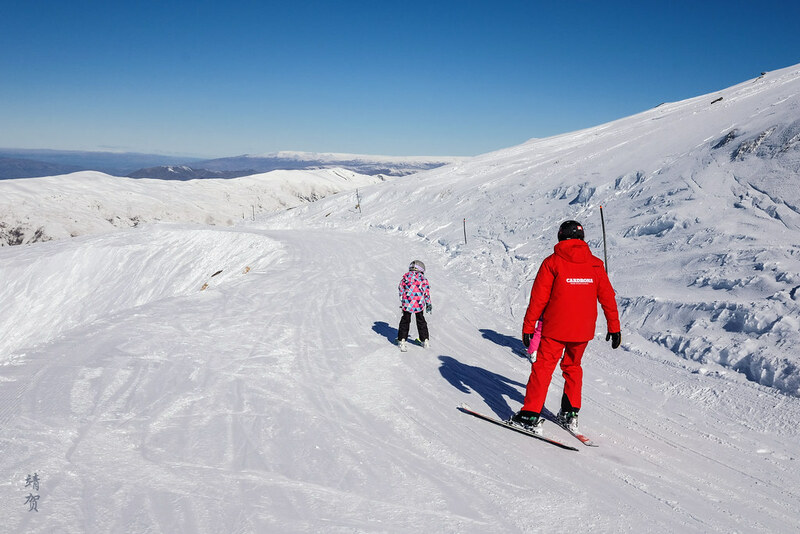 Like many family-oriented ski resorts, Cardrona has an expansive beginners’ area by the base lodge with several magic carpets and a T-bar for beginner park riders as well. 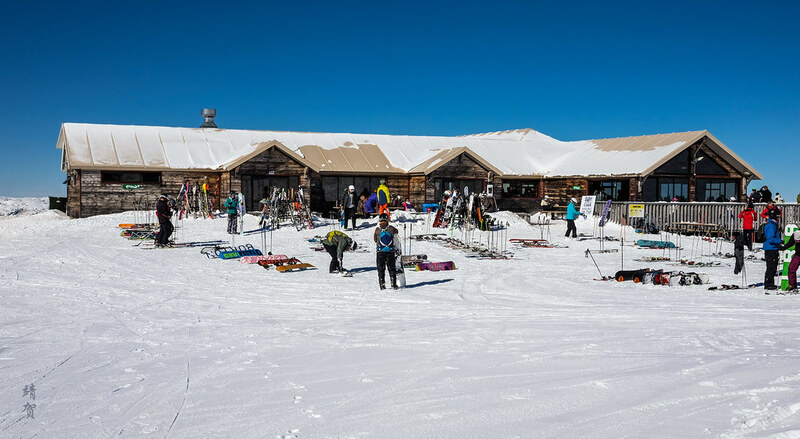 The ski school location next to lodge means it is easier for parents who are not skiing to keep an eye on their children who are receiving instruction. There is an easy green run as well from the top of McDougall’s Chondola that connects to the Footrot Flats which is a ‘slow’ area leading back to the base. 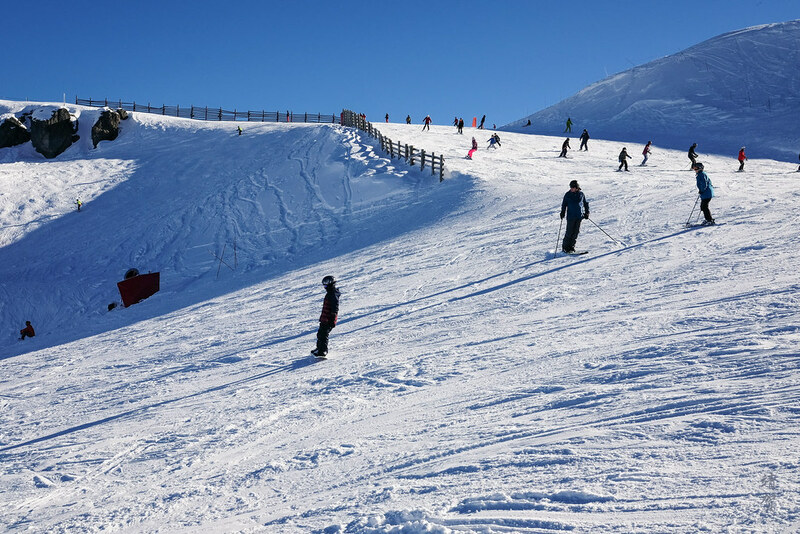 However, what makes skiing fun for beginners in Cardrona is the combination of ‘Shaun’s Way’ and ‘A Real Journey’ linking the top of McDougall’s Chondola to the Captain’s Basin area. From the bottom of Captain’s Express chairlift, the green run of Comeback Trail allows beginners to return to the base of Whitestar Express chair, and provides an amazing vista of the valley. 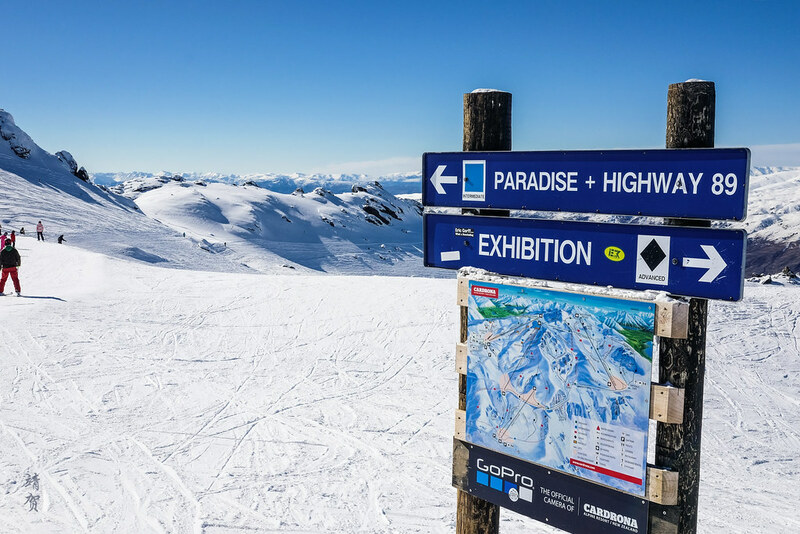 This means beginners gets to experience as much of the resort as possible and thus making Cardrona very friendly for beginners. 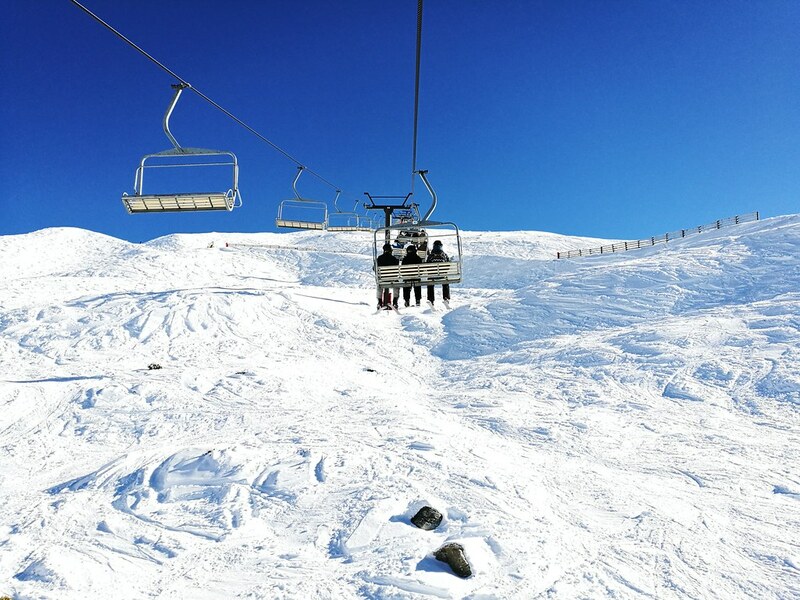 For strong intermediate skiers, the terrain in Cardrona is somewhat mild and does not seem as challenging when sticking to the piste or marked runs. However the expanse of the ski area boundary does provide opportunities to find fresh pockets of snow. It is also possible to find your own private runs to improve your skiing even when the base of the chairlifts sees plenty of queues. Intermediate runs here are sub-divided into easier blue runs and slightly more challenging red runs. Over on the McDougall’s Chondola and Whitestar Express, the majority of intermediate trails are blue, while the more challenging reds can be found from the base of Whitestar or over on the Captain’s Basin. As a side note the longest red-coloured run is probably the Valley View trail leading to Tail Race, with the upper stretch and lower being marked as blue. The best place for intermediate skiers is perhaps Captain’s Basin where there is a mix of easy Blue runs like Highway 89 stretching from Eagle Rock or slightly more challenging runs from the numerous bowl-like features of the basin. The varied terrain here provides plenty for various levels of intermediate skiers and riders, which also explains it was probably my favourite area to ski in Cardrona. The number of people lining up for the Captain’s Express serving this are is testament to its popularity. Captain’s Express is the chair where advanced skiers who are comfortable with steeper terrains and chutes go to as well. After all, there are several black runs and unmarked terrains to discover from the top of this chairlift. That is not say Captain’s Basin is the only place where Black runs exists. Some of the most prominent expert marked terrains are to be found from the Whitestar Express called ‘Arcadia Chutes’ leading to the ‘Comeback Trail. This area is where powder runs could be found after a heavy snowfall and would definitely be one of the first places to hit in the morning for experts. 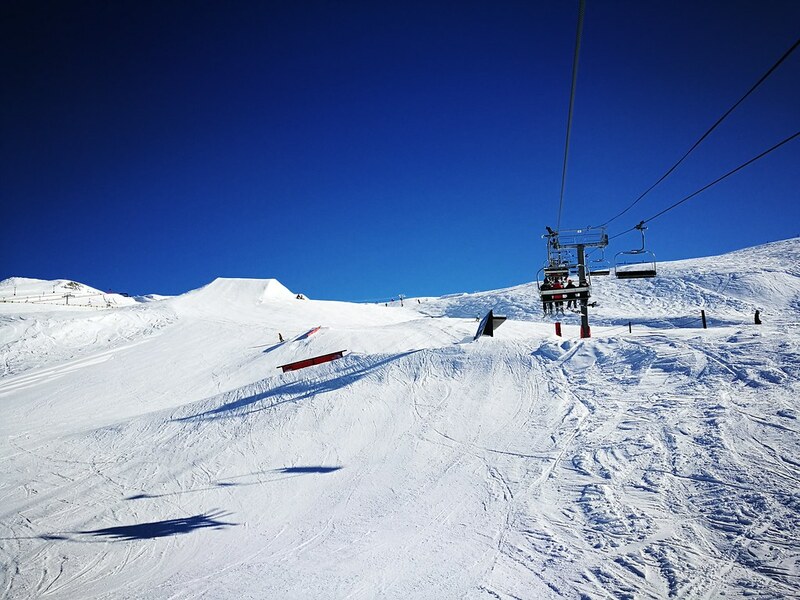 Continuing its appeal to everyone, Cardrona is home to a large terrain park area situated beside the Whitestar Express, so this is the chairlift park riders should take note of. Skiers on this chairlift can get a treat of all the jumps and elegant moves along the obstacles set up in this impressive terrain park. The size of the terrain park is wide relative to the scale of the resort and there are smaller parks for beginners so this is a nice resort to head for those seeking to practice their jumps. Another differentiator with other ski resorts is that there are more than one on-mountain ski lodges for the weary skiers. 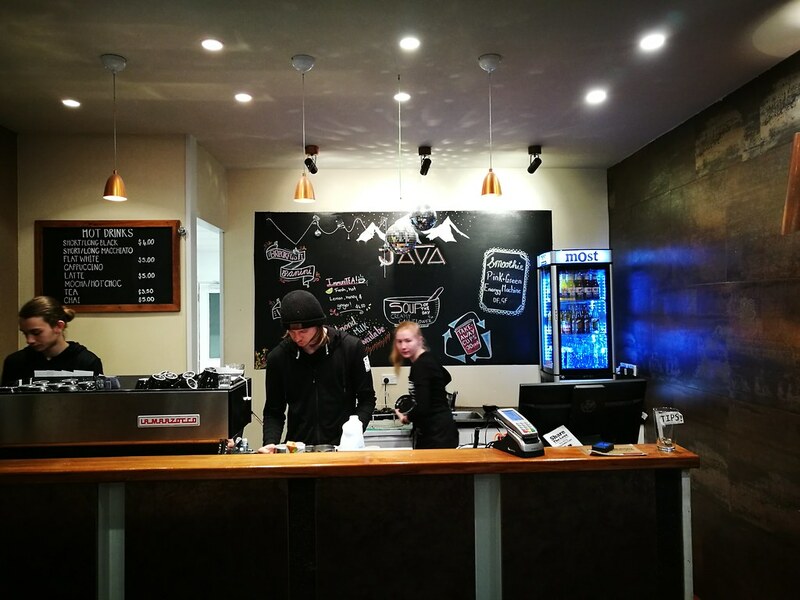 Most skiers arrive here at the Base Lodge which houses the major facilities including a cafe, restaurant, bar, rentals, shops and the medical centre. A separate building houses a kids’ centre with the ski school and a Noodle Bar. At the top of McDougall’s Chondola, there is a shack selling refreshments with outdoor seating. The big lodge on the mountain though is the Captain’s Cafe that houses a pizzeria and provides a place to rest indoors while skiing in the Captain’s Basin area. 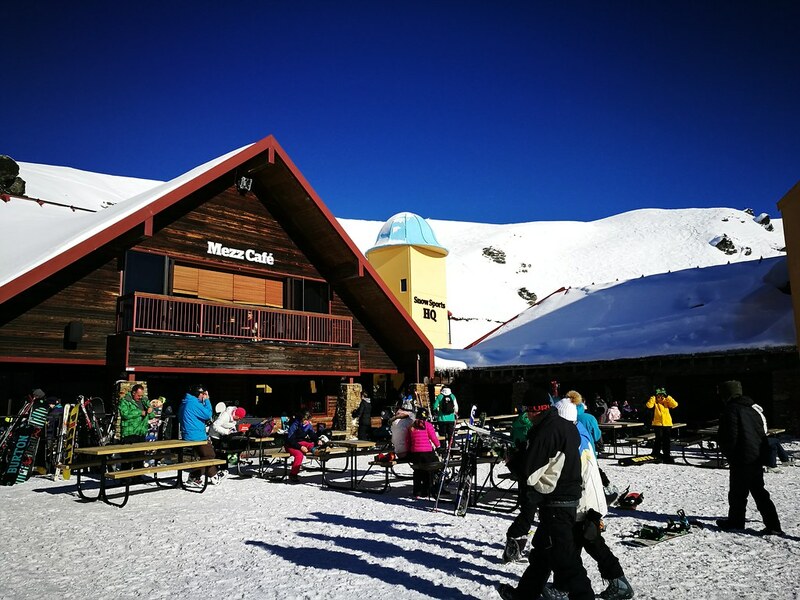 With a terrace on the lodge providing a view of the chairlift and the valley, this place is great for skiers to have lunch at. 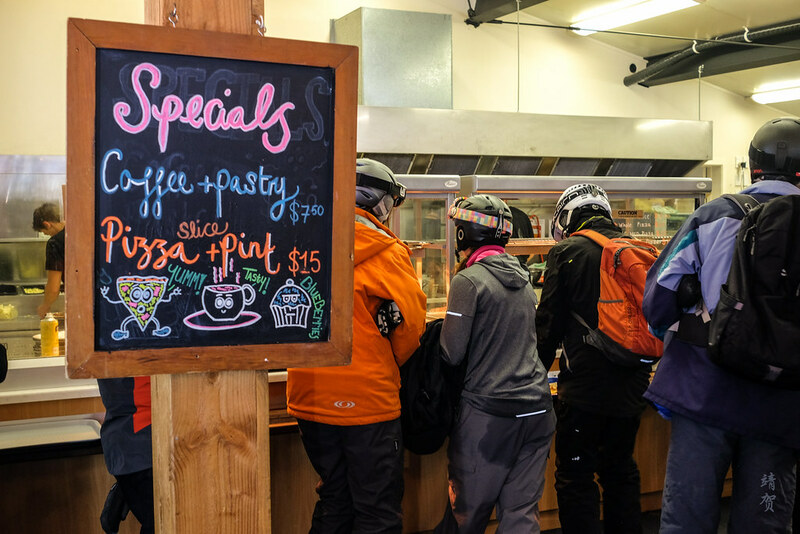 Based on my one-day visit to the ski resort, Cardrona has a decent range of food to cater to international travellers. The noodle bar in the Kid’s Centre by the Base Lodge has an Asian-inspired cuisine. 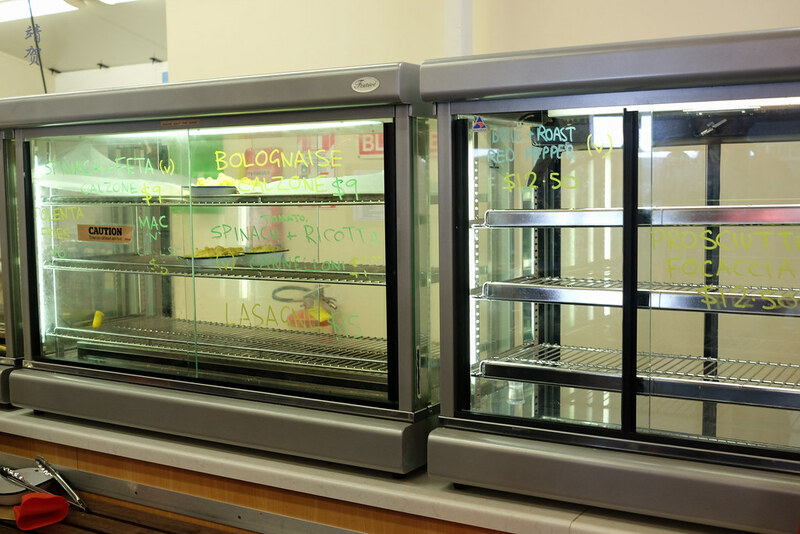 While the Captain’s Pizzeria has a variety of Italian dishes like lasagna and pizza. Expect to pay NZ$9-12.50 for main courses and $3-5 for beverages. Prices are fair for a ski resort and cheaper than in Europe and North America due to the exchange rate. 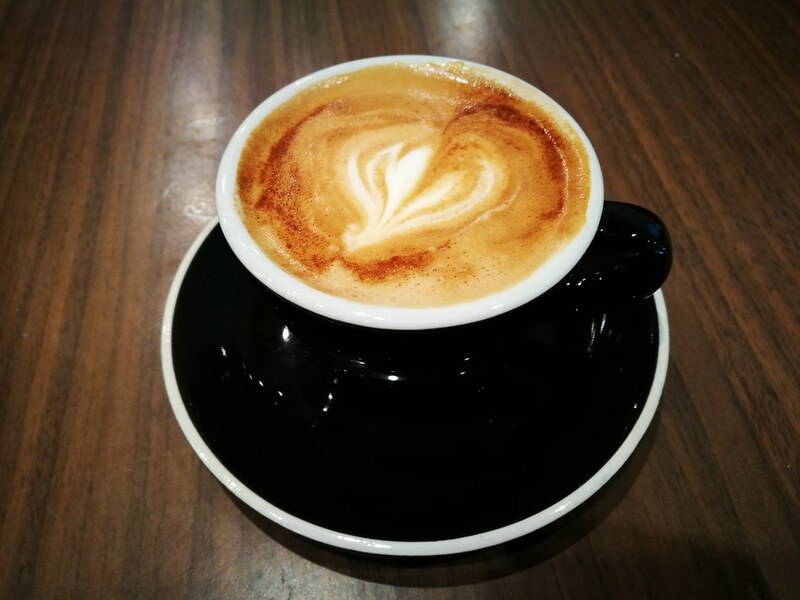 In addition, the proximity of New Zealand to Australia and with plenty of Australian skiers, getting a good cup of flat white is easy here. If I must say, the coffee is amongst the best I have tasted at any ski resort. For skiers wishing to stay overnight here, the only option on the mountain is the limited number (15 to be exact) of apartments with 3 different layouts for single travellers or even families. With so little accommodation on the mountain, I would not expect most skiers to stay overnight here during the peak season. 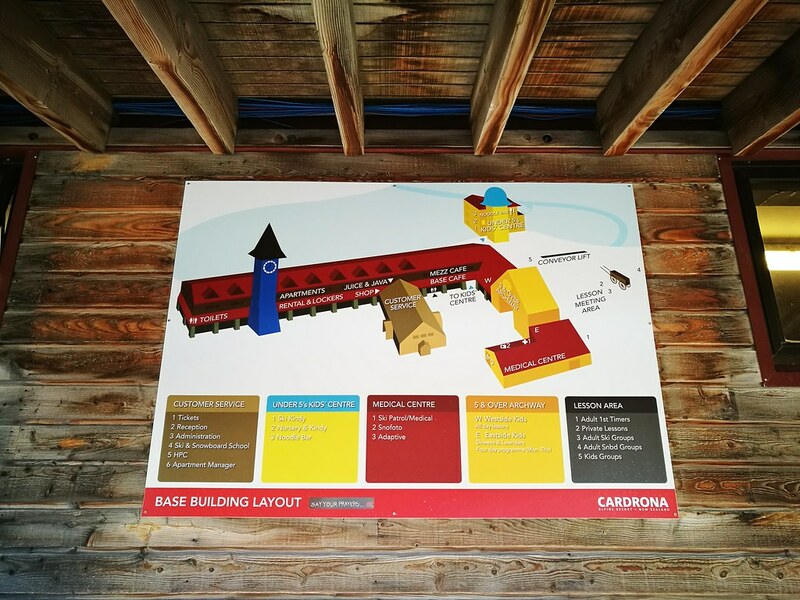 Thus the next best place to stay would be the historic Cardrona Hotel at the base of the valley along Crown Range road which is about a 10 minutes drive to the resort. 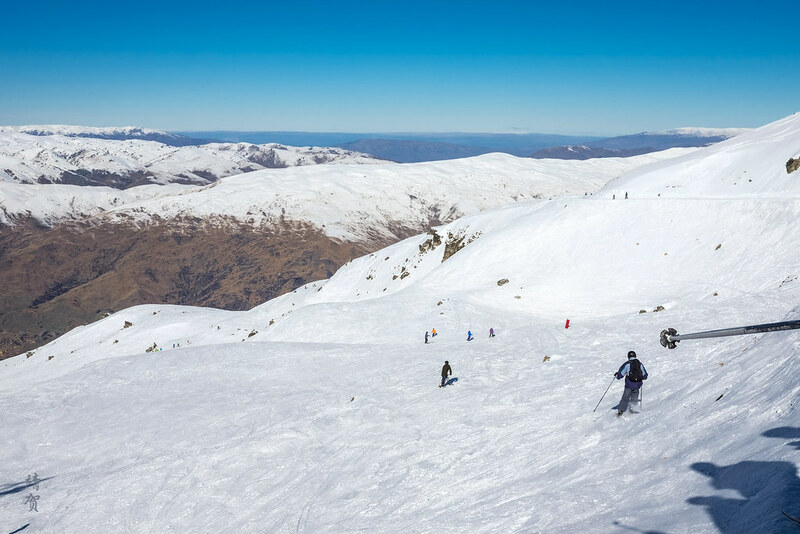 Unlike Treble Cone and Coronet Peak, both of which offer great lake views of Lake Wanaka and Wakatipu respectively, skiers probably get a glimpse of the lake side here, with the main view being that of the valley. There are beautiful views from the top and base of Captain’s Basin as well as alongside the Comeback Trail to be savoured on a clear day. 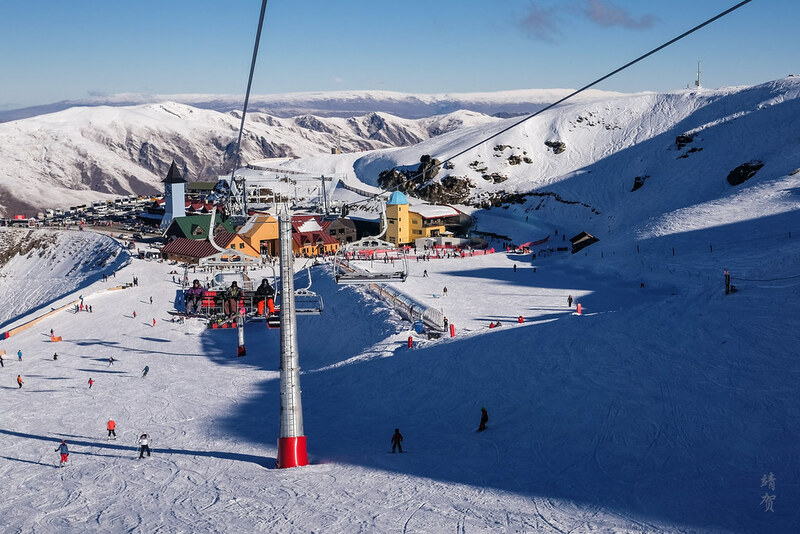 Normally ski resorts with just a couple of chairlifts are not exactly worth visiting, but my visit to Cardrona showed how just one excellent area or basin to ski in is all it takes to make a ski resort great. 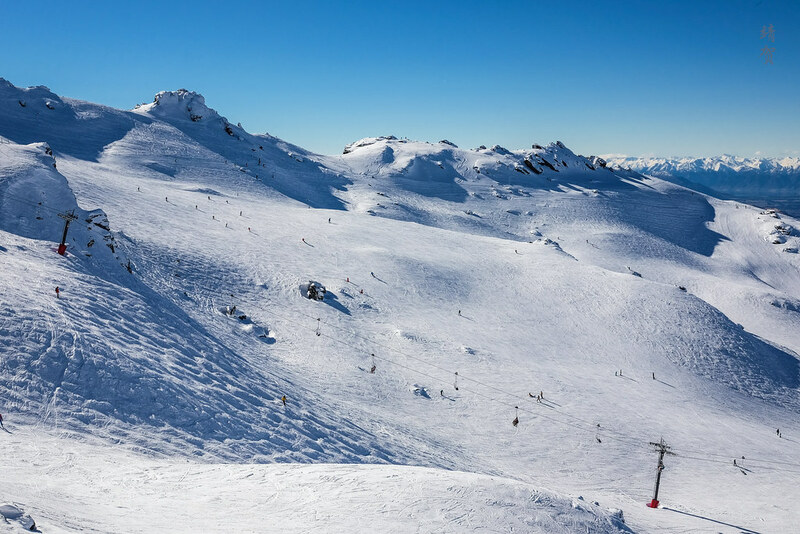 While skiing in Coronet Peak is somewhat lacklustre, the diversity of terrain allows skiers of all capabilities to enjoy the ski resort due to the green runs from the summit to the base. 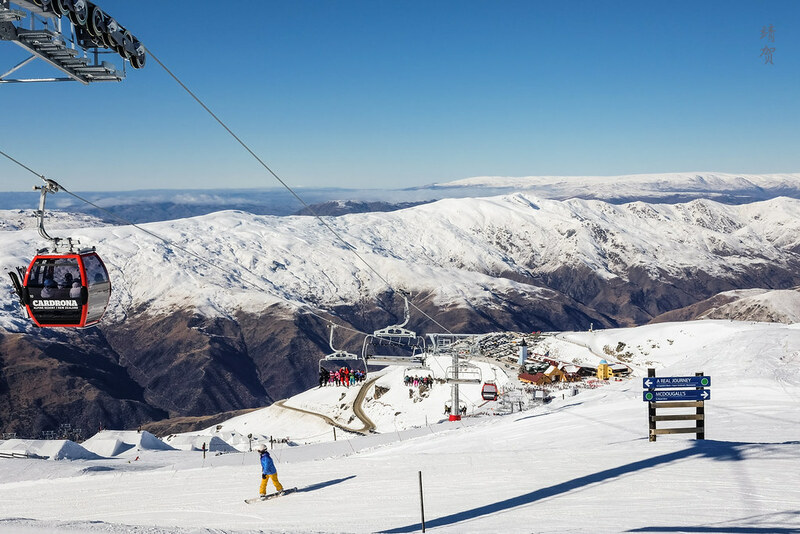 Easy runs and plenty of free-ride terrain allows progression for all kinds of skiers and that is why I find most skiers would be happy with visiting Cardrona if they ever visit Queenstown or Wanaka. 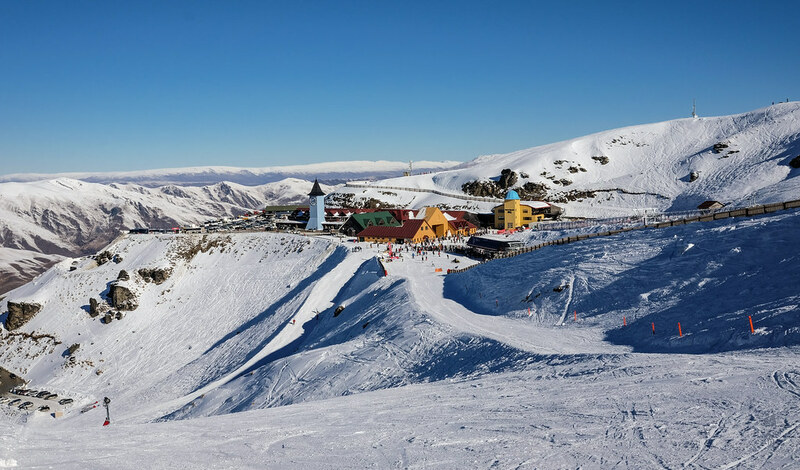 If there is only one ski resort travellers could visit, I would certainly recommend Cardrona to be the one due to the ease of access to many nice ski runs that provides a relaxing way to discover the mountains of Otago in New Zealand.